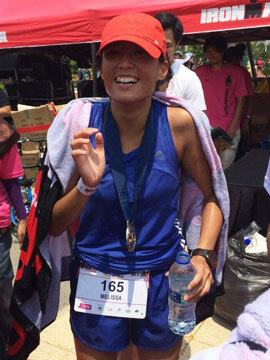 Log On The Miles With UA Charged Bandit 3 – Look, Feel And Fit Great | JustRunLah! Under Armour releases the 3rd generation of it’s Under Armour Charged Bandit Line – UA Charged Bandit 3. 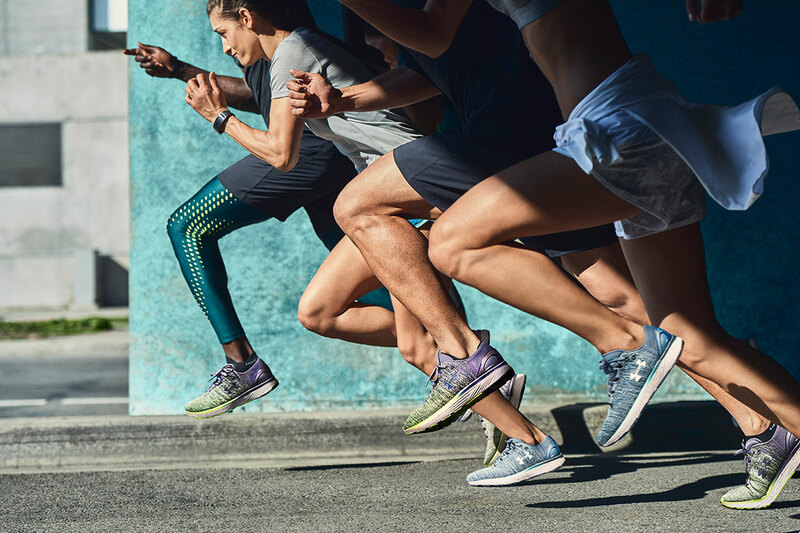 This is a long-distance running shoe designed to be versatile and lightweight that will give you a soft, smooth ride both in training sessions and on the race day. 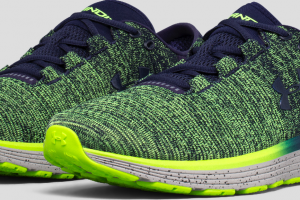 This shoe is lightweight – made lighter as compared to the Charged Bandit 2. The male version weighs in at 259 grams whereas the female version weighs in at only 211 grams. Although a lightweight shoe, this neutral running shoe offers you the support you need. The Bandit 3 boasts stability and delivers. With UA engineered heathered knit upper, this UA technology hugs the foot to give it a nice fit yet keeping it flexible and light for you. The external heel counter helps stabilises your foot upon impact as it keeps the back of your foot locked in place. It is a very secure shoe that provides you the comfort you need even on longer runs. Featuring an all new Charged cushioned midsole, the shoe offers plenty of protection and ample cushioning for longer distance efforts. Also, it offers a high energy return, making it a responsive shoe for your tempo sessions. It gives you a very responsive toe off with just an 8mm heel to toe offset. The rubber sole is strategically placed to help increase its durability, allowing you to go the extra mile with it. Lastly, the full rubber outsole provides great traction on dry concretes and treadmills. 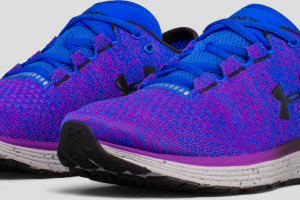 UA introduces an all new breathable upper knit that makes the shoe extremely comfortable. Bandit 3 is designed such that there will be no rubbing hence no blisters; it comes with a seamless design that “hugs” your foot and gives you a very natural fit. This shoe is designed to do it all for runners. It is ready to log on miles on miles, all while looking, feeling and fitting great. 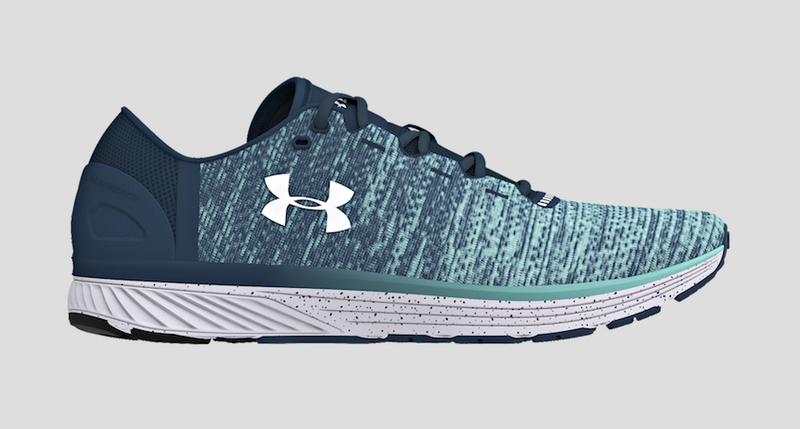 The durable materials make it ready for any pace and distance you put it through, and the comfort you can get out of this shoe makes the UA Charged Bandit 3 a pure winner. 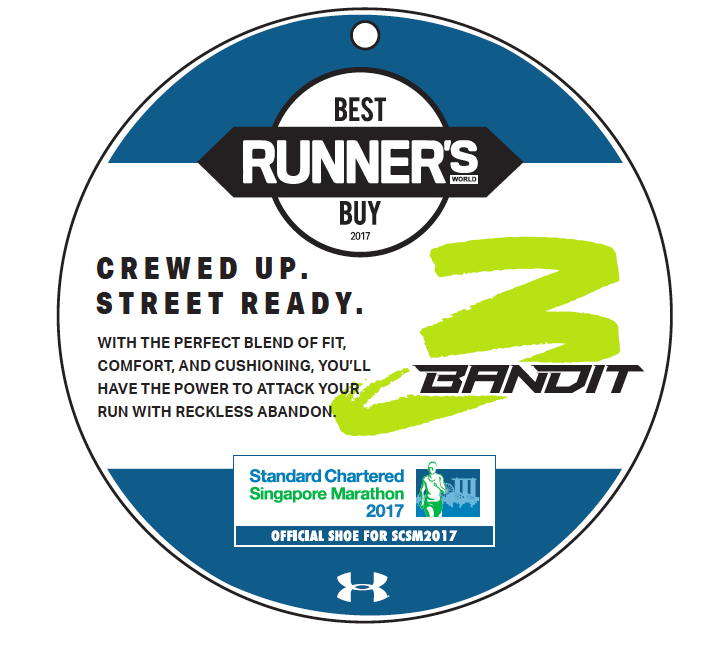 Bandit 3 is the Official Shoe for Standard Chartered Singapore Marathon 2017 and it has been selected as Runner’s World’s best buy for 2017.